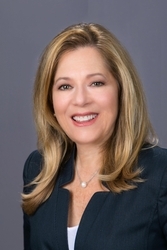 Terry A. Kessler is a partner of Hill Wallack LLP in the Princeton, N.J. office. She is a member of the firm’s Community Association Law and Family Law practice groups. Ms. Kessler concentrates her practice in the areas of community association law and is also a state approved mediator. She oversees the group’s collection practice and has lectured on the collection of delinquent assessments as well as issues regarding enforcement and other areas of practice related to the representation of associations. She is involved in all areas of Community Associations practice. Ms. Kessler is admitted to practice in New Jersey before the U.S. District Court and New Jersey State Courts (1985) as well as Pennsylvania (1985). She began her legal career in the New Jersey Superior Court, Essex County, Family Part serving as law clerk to the Hon. June Strelecki and the Hon. Alexander J. Matturri. Ms. Kessler earned her B.A. from Albright College and received her J.D. from Seton Hall University Law School. Ms. Kessler has volunteered at the Somerset Country Woman’s Resource Center, where she counseled abused and battered women on legal issues. As a breast cancer survivor, she volunteers her time to speak with high school students about breast cancer as part of Hadassah’s “Check it Out” Health Awareness Program.